At Mullaco our Halal Beef is as British as it can get. Quality breeds of cattle reared in and around Yorkshire farms. We select from quality breeds of cattle which have been reared to ethical and traditional manner. Where possible our halal beef is farmed to Farm Assured and Eblex Standards. All our meat including Beef is Halaal and HMC Approved. And for you "meat-lovers". 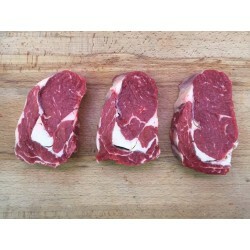 Why not try give your taste buds a real treat with our "21-day Matured" Beef. 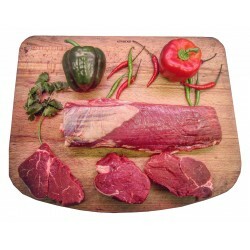 This gives the steak an intense and succulent flavour which will melt in your mouth! Beef There are 33 products. 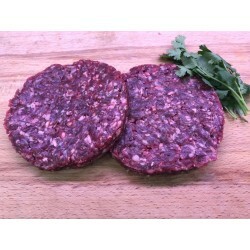 Two HMC Halal Wagyu Beef Burgers (approx. 170g each). 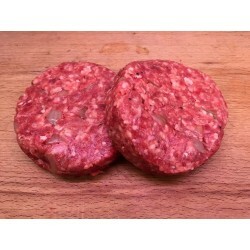 Halal HMC Aberdeen Angus Fillet Steak. AAX. The fillet sits beneath the ribs, next to the backbone. As the least worked muscle it is of optimum tenderness. This select breed has made it's name for providing rich flavours and a smooth texture. Halal HMC Aberdeen Angus Rib-Eye Steak. AAX. he reputation of Aberdeen Angus beef speaks for itself. 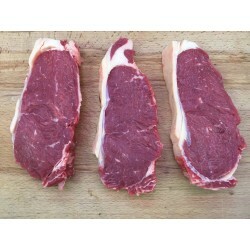 These rib eyes has a sublime texture and are full of sensational flavours. 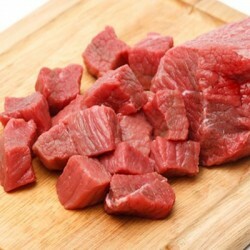 The seam of fat in the cut bastes the meat when cooked, with its tenderness suiting dry heat methods. Halal HMC Aberdeen Angus Sirloin Steak. 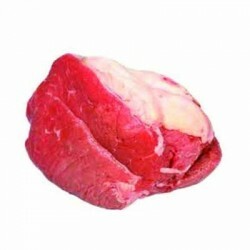 Sirloin is from the hindquarter, which sits just above the fillet. This select breed has sublime texture and flavours. It an excellent choice for roasting or barbecuing. Quarter inch thick, slices of Beef Braising Steaks. Ideal for stirfry's or BBQ's. 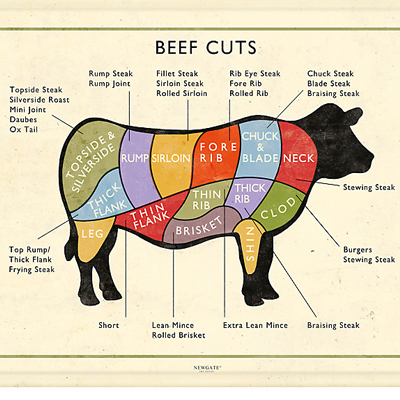 A cut of beef taken from just below the shoulder along the length of the chest/breast. It’s a fairly firm cut, so it’s inexpensive, and benefits from long, slow cooking. Sold on the bone, or boned and rolled, it’s often cooked in one piece. Delicious pot roasted, poached or braised and used in casseroles or stews. 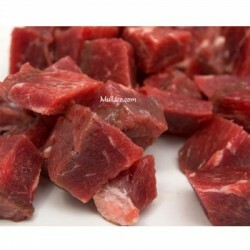 Beef cubes can be used to make boti kebab and can be use for stews, pot roasts. Beef bone-on, this will give you a great tasting meaty masala type dish, the bones extract a totally unique flavour to the dish and creates that extra special taste.